Inspiration & things we love! 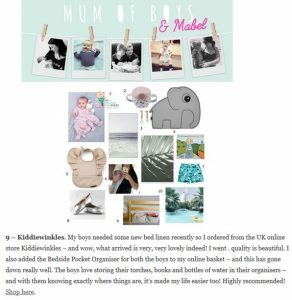 It’s lovely to see Kiddiewinkles products featured in our favourite magazines, websites, newspapers and blogs. 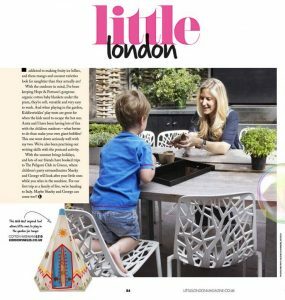 We’ll be keeping this page updated with our latest press coverage – thank you to all the journalists sharing the love for Kiddiewinkles with their readers! Have you seen? 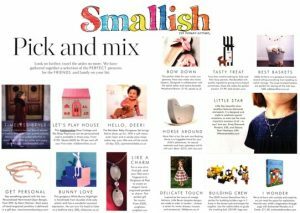 Our Kiddiewinkles Rose Cottage and Tea shop playhouse takes pride of place in this months ‘Smallish’ ‘Pick and mix’ pages. 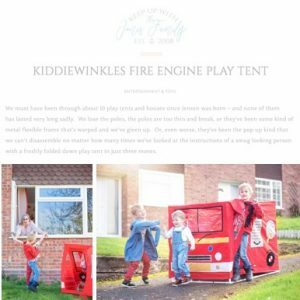 Click here to see how our Kiddiewinkles Fire Engine Playhouse can be used to create fun for the whole family – grown ups included! 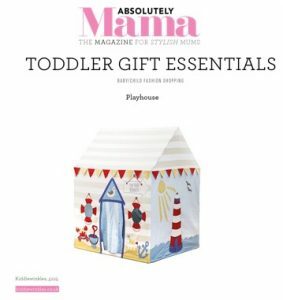 Click here to see our gorgeous, nautical themed playhouse featured in the Absolutely Mama ‘Essentials for toddlers’ guide. 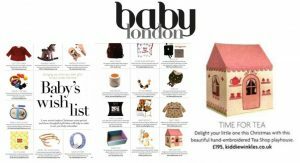 Pick up the latest issue of Baby London and you’ll spot our rather lovely Kiddiewinkles Rose Cottage and Tea Shop Playhouse in the ultimate Christmas gift guide for babies! 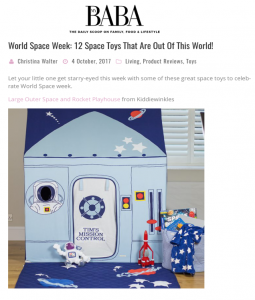 Click here to see the beautiful Kiddiewinkles Gingerbread Cottage and Sweet Shop playhouse in October’s round up of My Baba’s favourite things and here for a special mention of our stunning Outer Space and Rocket Playhouse inspired by World Space Week! The toy industry is buzzing with news that our Kiddiewinkles Wild West Wigwam won big at the BlogOn Toy Awards 2017, where it scooped Best Outdoor Toy AND the Bloggers Choice Award. Thank you to Toy News, Toy World and Toys N Playthings for covering this exciting news! 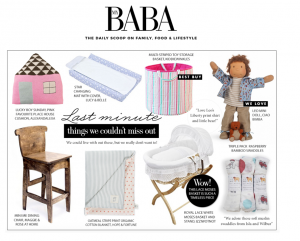 Click here to check out this month’s hot list for mums and little ones, including a gorgeous Kiddiewinkles Toy Basket! 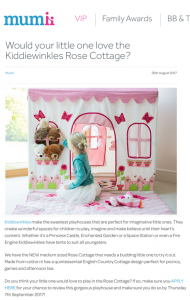 Click here for YOUR chance to review our gorgeous Rose Cottage Playhouse, courtesy of our friends at Mumii! 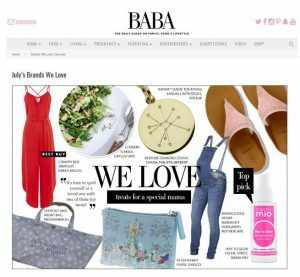 Click here to see our gorgeous Neutral Gingham Toy Basket in My Baba’s top picks for August 2017. Click here to see our Out and About Tote Bag in July’s list. 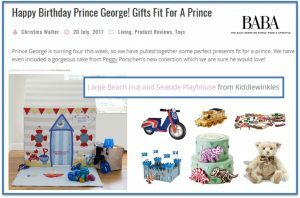 Click here for a list of gifts fit for royalty, in celebration of little Prince George turning four! 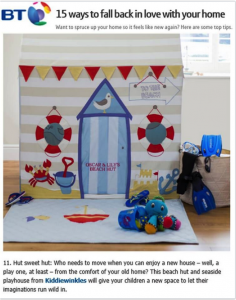 My Baba reckon he would love our Beach Hut and Seaside Playhouse… we couldn’t agree more! 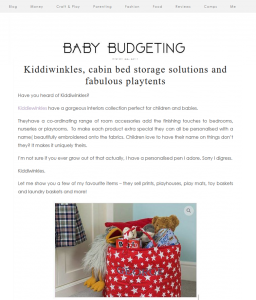 Click here to read a review of our clever Bedside Organisers from a fabulous mummy blogger! 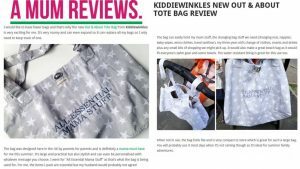 Click here to read a super detailed review of our new Out and About Tote Bag from one of our favourite mummy bloggers! She also included it in this round up of her summer must haves. We were thrilled to see our Wig Wam in this gorgeous glossy mag, especially in a feature about our greatest passion – creative play! 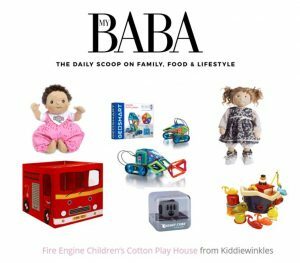 Click here and you’ll spot our Fire Engine Playhouse in a round up of summer must haves! 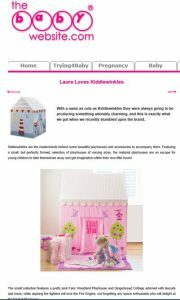 Kiddiewinkles founder Debbie is a guest blogger for Huffington Post, regularly sharing her expertise on parenting topics. 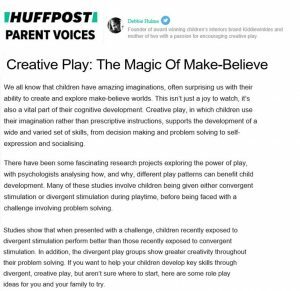 Click here for her thoughts on the magic of make believe play. Click here to check out the team’s review of our new Out and About Tote Bag! 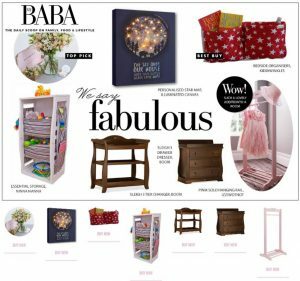 Click here and you’ll spot our Toy Basket in this feature all about creating a beautiful nursery for your very own Kiddiewinkles. 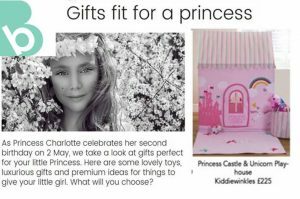 Click here to see our Princess Castle and Unicorn Playhouse included in this round up of gifts fit for royalty, in celebration of Princess Charlotte’s birthday. 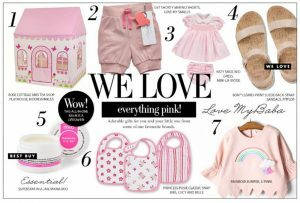 During the same week, My Baba team also featured our Rose Cottage and Tea Shop Playhouse in this feature on their favourite pink goodies! 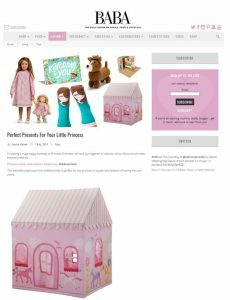 Click here to see another recommendation for our Princess Castle and Unicorn Playhouse in celebration of Princess Charlotte’s birthday! 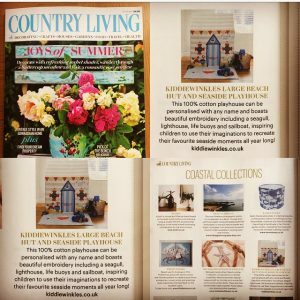 It was extra exciting to spot our Beach Hut and Seaside Playhouse in this coastal inspired interiors feature, as Country Living is one of our favourite magazines! 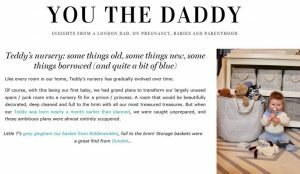 Click here to see our Toy Basket included in this awesome daddy blogger’s post on creating the perfect nursery. We love the beautiful picture which really shows off the capacity of this brilliant basket! Click here for a detailed review of our Beach Hut and Seaside Playhouse. We are so pleased that the team fell in love with this beautiful item! 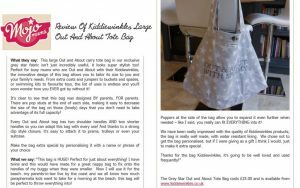 Kiddiewinkles founder Debbie is a guest blogger for Huffington Post, regularly sharing her expertise on parenting topics. 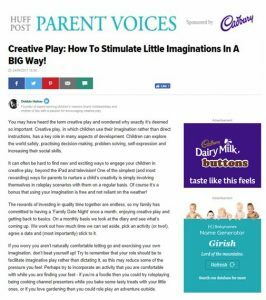 Click here for her top tips on creative play, including some activity ideas to get you started! 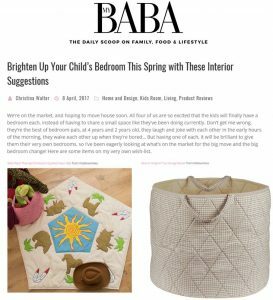 Click here to see our Toy Basket and Quilted Play Mats recommended in a feature on Spring interiors, then click here to see a shout out for our clever Bedside Organisers too! 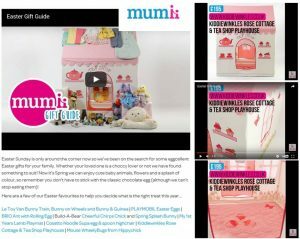 Click here to spot our Rose Cottage and Tea Shop Playhouse included in this brilliant website’s Easter Gift Guide! 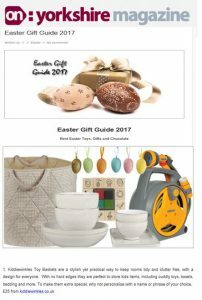 Click here to see our Toy Basket in this lovely Easter Gift Guide, full of perfect presents for Spring! 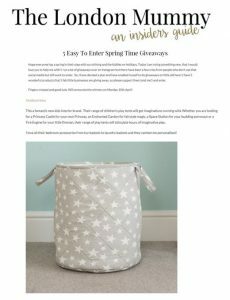 Click here to see how teamed up with this brilliant blogger to offer her readers the chance to win a Toy Basket to celebrate Spring. 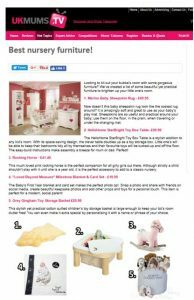 Click here to read a lovely review of our clever Bedside Organisers – we are so pleased to hear that the whole family are fans! 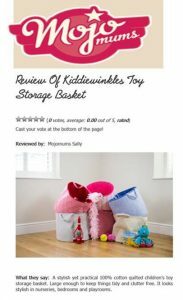 Click here to read Mojo Mums’ thoughts on why our Toy Basket is the perfect storage solution! 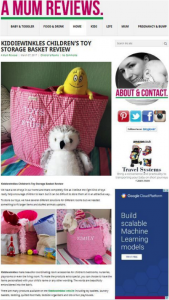 Click here for this brilliant blogger’s thoughts on our handy Toy Basket! Click here to find out how our Beach Hut and Seaside Playhouse could help you fall back in love with your home!